Univ Of Minnesota Press, 9780816696789, 240pp. Consider your place, the place where you feel the most at home: a tree-lined lake, a bean field planted on stolen land, a rig drilling the golden prairie, city streets alive with energy. Written in the language of the northern landscape of experience, Karen Babine explores the meaning of being in your place on a particular day. 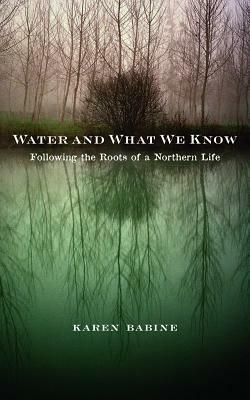 As she searches out the stories that water has written upon human consciousness, Babine reveals again and again what their poignancy tells us about our place and what it means to be here.